Why bother starting with anything else aside from the final scene, even if it will take some setting up. Here's how things got to where they were by episode's end. Gus is now confident that Jesse can cook by himself, making Walt expendable. Meanwhile, Hank is getting even closer to Gus, having found his laundry. While Jesse is able to get Walt merely fired, as opposed to killed, he isn't going to be so lenient when it comes to Hank. As such, Gus threatens to kill Walt's entire family if he tries to stop him from killing Hank. Not wanting this to happen, Walt asks for the number for Saul's guy who can make people disappear. He gives it to him, and then Walt asks Saul to make an anonymous call to the DEA to let them know that there is a hit out on Hank. This is where things pick up even further. Walt rushes to Skyler's house to get the money needed out of the crawl space (he'll need about half a million bucks). Oh, also he needs to get his entire family together and packed quickly, because this whole process begins fast. However, as he frantically looks through the crawl space, he doesn't find enough money. Suddenly, Skyler appears above him worriedly, as Walt freaks out wondering where the money went. When Skyler tells him she gave it to Walt, even as she tries to explain that she had to, Walt is obviously apoplectic about it. Eventually, he devolves into a fit of wild laughter, scaring Skyler, and then she gets a call from Marie telling her she heard about a hit on Hank. In the final shot, the camera pulls away from Walt slowly as his laughter subsides into worried silence. Like I said, this last scene was excellent. It was staged as well as anything in the show's history, and that includes Hank's parking lot shootout with the Cousins. 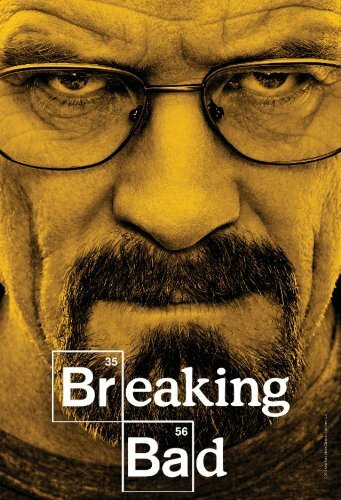 It was acted really well also, as both Bryan Cranston and Anna Gunn brought their best. The look on Skyler's face as she slowly backed away from a laughing Walt stuck with me in particular. Skyler may have given Ted a little over $600,000, but he didn't get the chance to do anything with it. Not that he wanted to, however. He asked Skyler to visit him, and then said he couldn't take her money, because he didn't want to pay with what he thinks are illegal gambling winnings. No matter how much Skyler insists, he refuses. As such, she turns to Saul, and he turns to a couple of his lackeys, and they try and physically force him to sign a check to the IRS. Ted tries to run, trips over his rug, and then slides head first into a counter, which in turn kills him. In a show with a penchant for darkly comic moments, this was up there. While I'm fine with Ted dying, and they really couldn't have it happen in a non-accidental way, I felt it didn't quite work for me. It reminded me a bit of a character's death on Out of Sight, as well as the actor who played Ted's death in the show Terriers. I only really thought the Terriers death worked. Also, there were oranges on the counter that Ted slid into. Of course, in The Godfather movies, oranges signify something bad is about to occur. I presume this was a nod to that, even if we didn't see them until Ted was already on his way to dead. For a while now, Walt has been trying to keep Hank off Gus', and thus his, track, and it looked like it was going well for a while there. However, as I mentioned earlier, Hank found out about the laundry, because he's good at him job, completely catching Walt off guard? His only move? Getting in an accident with his car on purpose. That put things on hiatus, but for how long? Will Hank change his plans now that he knows there is a hit on him? The episode began with the aftermath to the event at Don Eladio's house. When last we left Gus, Mike, and Jesse, Gus was poisoned and Mike had been shot up. First, we see an ER hurriedly setting up, and then it was nicely revealed that they were inside an abandoned warehouse of some sort. They take care of Gus first, since he's the boss, but then eventually get around to Mike. Gus is fine, but Mike has to stick around for his wounds to heal. Gus also pays another visit to Hector to taunt him and to tell him he's the last living Salamanca, and his family name dies with him. He also points out to Hector that Jesse killed his sole remaining relative. I wonder if this will have any impact on Jesse. This was a fine episode in its own right, but it really left me excited for the next one and got me trying to put the pieces together in my head. Walt clearly seems done cooking for Gus to me, so his big paydays may be over. It remains to be seen whether or not Jesse sticks with him, or if Gus is even alive at season's end. It seems a near certainly somebody is going to die. I find it unlikely that Walt and his family will truly assume new identities, but I bet at the very least we meet the so called "disappearer." It won't be long before Gus finds out Hank got a warning, and he will presumably expect Walt. However, I am also not completely sure that Gus' threat was legitimate. He's a ruthless businessman, sure, but he also has never done anything in the vein of killing somebody's family in the show's history. It doesn't seem like something the character would do, but I wouldn't be too surprised if he actually puts the plan into motion. I could see Hank ending up dead by season's end, although with another heads up he could end up surviving, and I don't expect him to end his investigation. Mike being down in Mexico recuperating is significant I think. I've said before I don't see anybody getting the drop on Mike. If he's out of commission when things go down, which is very likely, nobody will have to. Honestly, in the end, if anybody dies it may be Saul. As a character he's the most expendable, and if Gus finds out he placed the tip to the DEA, that will be the end of him. There are only two episodes of season four left, and after this episode the stakes have never been higher in the show's history. I am eagerly anticipating the penultimate episode of the season. I'm sure I'm not the only one.